Ever wish you could hit "save for later" on a message on your inbox? 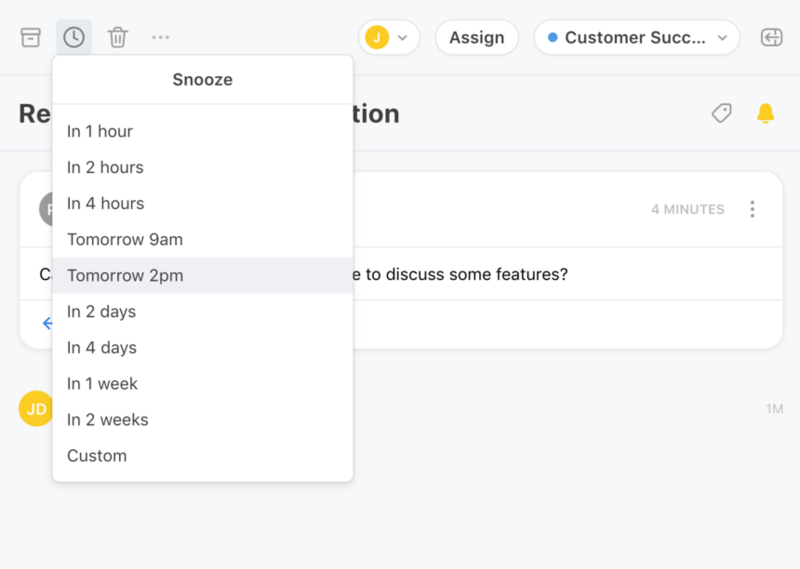 With snooze, you can hide messages until you need them — just click the clock icon at the top of a message, and pick when you want the message to reappear. By snoozing messages until you need them, you can focus on what you need to do now, without forgetting to follow up later! 💡Tip: You can always find your snoozed messages by typing has:reminder into your search bar in Front.